Today we’ve had a super comforting broccoli pasta bake, this time courtesy of BBC Good Food, who I highly recommend for trying out new recipes. We’ve done loads from their site and only had one or two that we didn’t care for. Oh man, I loved this one… though I’m a total cheese-lover. Except for stinky cheeses which I’m told are the best but I don’t buy that for a second. The recipe can be found here. It’s so very simple but so delicious. This is what dreams are made of, my friends. 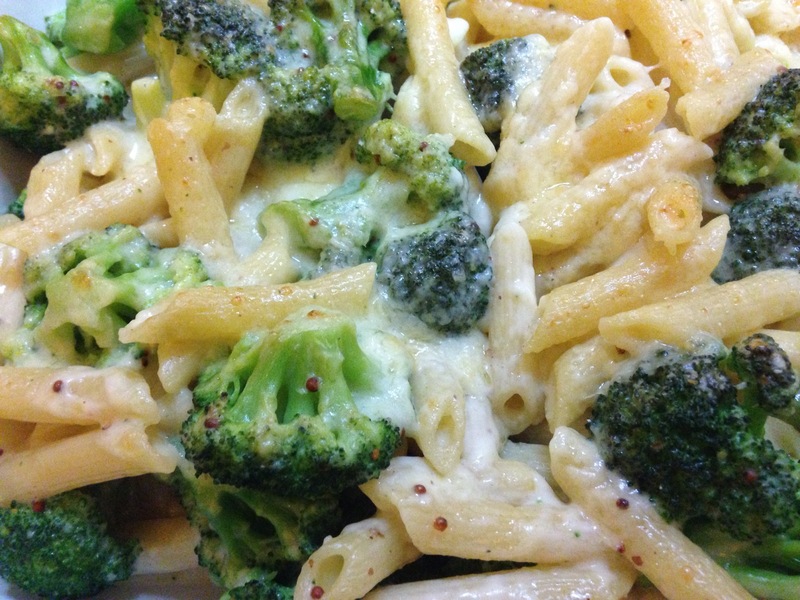 If I only changed one thing, I would lessen the pasta and up the broccoli. I do love broccoli. Today was the first day, for even a few moments, that I vaguely missed meat. After a super stressful day, on the tail end of my journey home, I caught a whiff of some sort of grilled meat. For a split second, I thought “gosh, I could really go for a burger.” But then I went home, made a cup of tea and watched Dr. Phil and I was ok. I’ve really surprised myself with just how well I’ve done so far this week. And you know what? I’m pretty proud. I love this! Looks super tasty! These look cool. Definitely hade to try it! Give it a go! It’s super tasty.